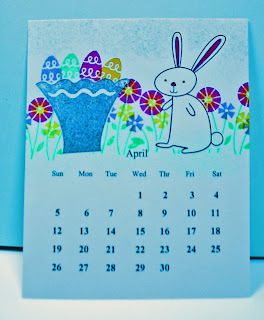 Here is another calendar that we created at Miss Janet's Stamp Camp. Hope you like it. awe...my daughter is born in April and I think this is great! so cute that bunny! This calendar idea is great! Hope your feeling a little better today. Here's ome healing (((hugs))) for you!